During the mercury spiking summer months and the still steamy early days of autumn, humble gin and tonics are the quintessential heat-beaters. The effervescence lifts you up and the nuanced sharpness of the tonic cuts through the humidity, while a complex arrangement of botanicals works to sooth your frazzled nerves. Here are 11 top gin and tonics that go beyond a simple mixture of Schweppes and Beefeater. 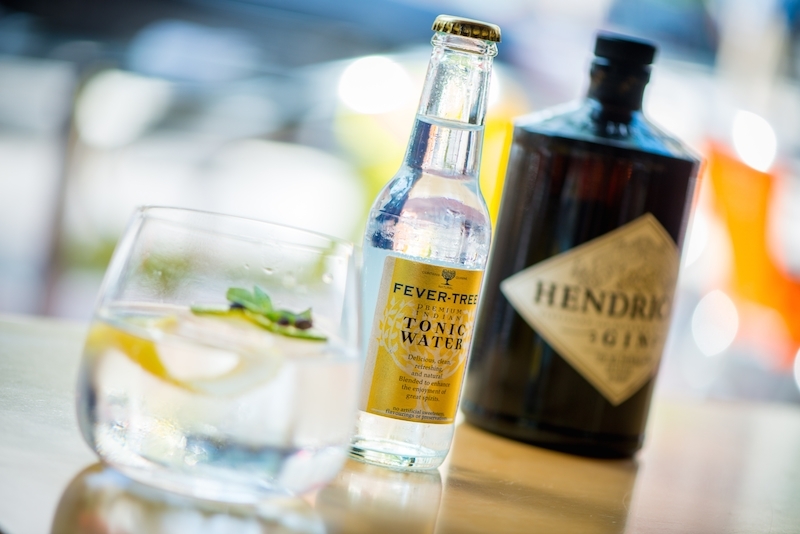 G&T goes DIY at Amada. 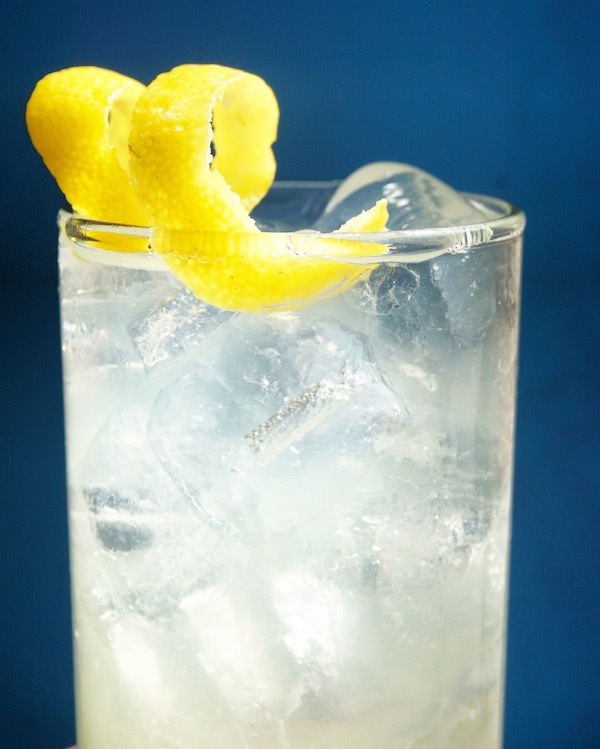 Guests pair a variety of gins – such as Gin Mare from Spain and Brooklyn’s Dorothy Parker – with their choice of tonics. To complete the personalization, they choose from an array of garnishes, including lemon, Arbequina olives, fennel, grapefruit, licorice, kumquat, kiwi, and basil. The drinks are served Spanish style in giant goblets. Make a reservation at Amada. Cocktail crafter Carlie Steiner worked with executive chef K.N. Vinod to create a series of Subcontinent styled sips. 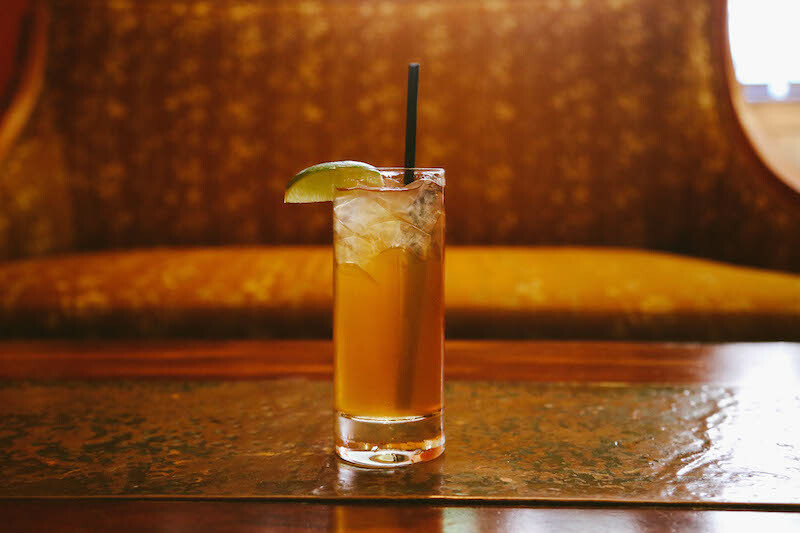 One of their greatest collaborations is her tonic infused with housemade garam masala, a customizable mixture of spices used as a seasoning in many Indian dishes. Vinod’s version features cloves, cardamom, cinnamon, cumin, coriander seed, star anise, and black pepper, which match up well with the botanicals in gin. The resulting G&T is cooling but still slightly spicy. Make a reservation at Indique. The flavors of the Aegean come alive in this creative G&T. The bar team combines rose petal and cucumber-accented Hendrick’s gin with lime juice, cardamom syrup, cooling cucumber juice, and a spice-rich Mediterranean tonic to create a cocktail called the Juniperus. Take a sip, close your eyes, and you’ll swear you’re on a beach on Mikonos. Make a reservation at Zaytinya. 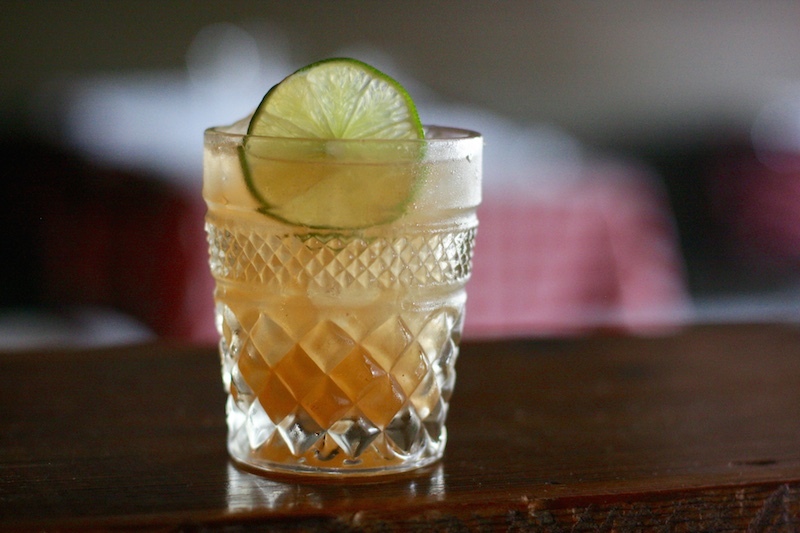 Bar star Todd Thrasher spent nine months perfecting his homemade tonic. 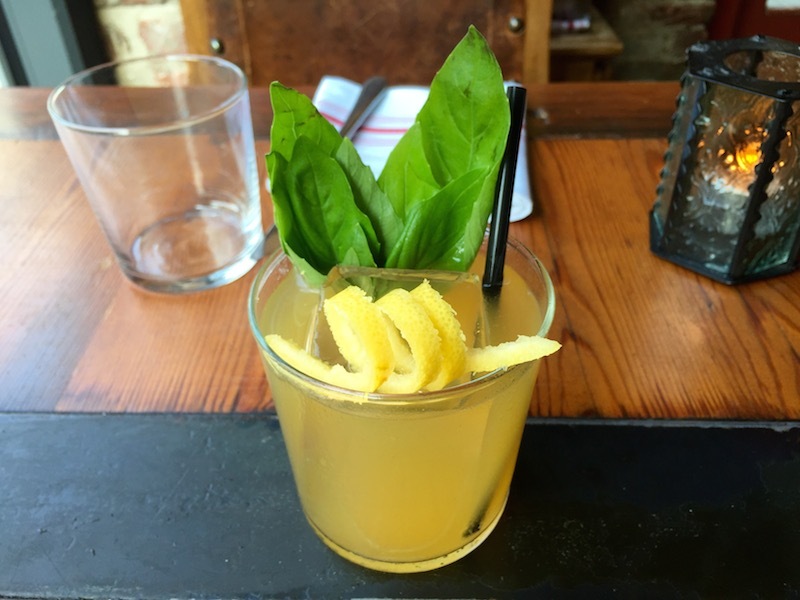 He infuses the deep brown syrup with cinchona bark powder containing the tonic’s trademark quinine, honey, yuzu, lemongrass, and lavender grown in the restaurant’s garden. The mixer is paired with the tippler’s gin of choice and arrives in a Collins glass. Make a reservation at Restaurant Eve. The bartenders place a premium on a tip top, top-notch tonic, so they make their own in-house. The base syrup features cinchona bark for a wallop of quinine, as well as bitter Gentian root, allspice berries, orange zest, lime juice, and cane sugar. 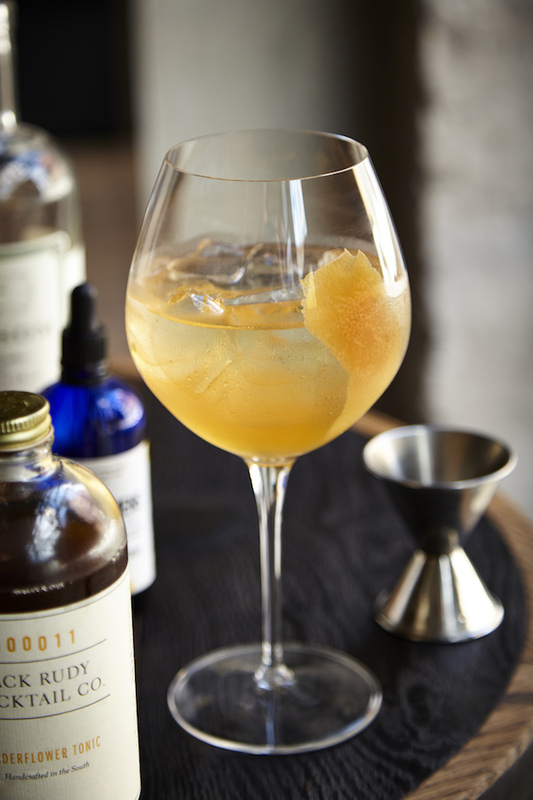 Ultimately, the tonic has a rich earthen vibe with spicy undertones and a little bite. 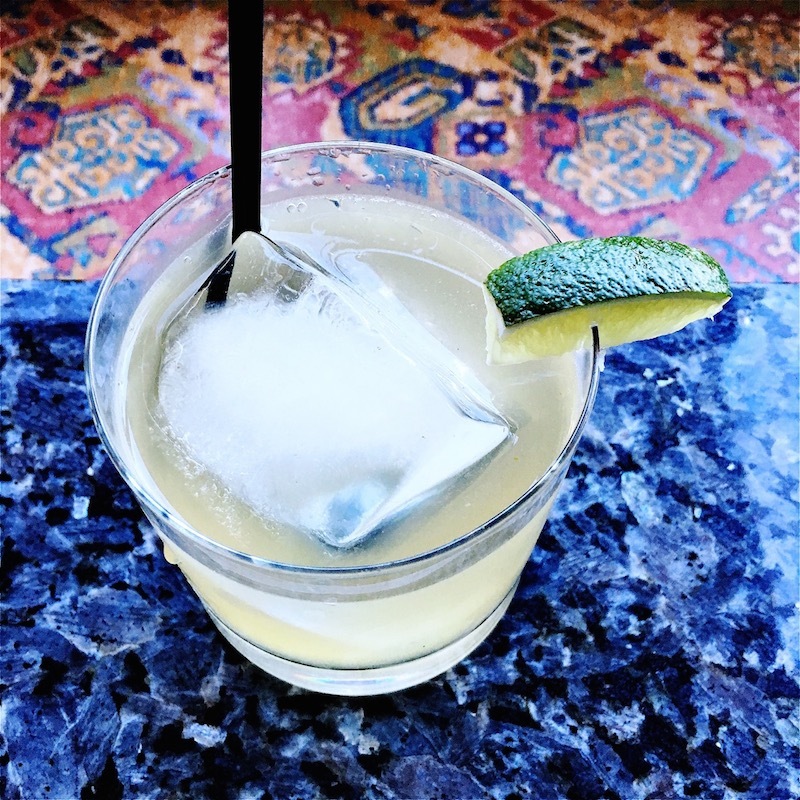 Mix it with your choice of gin and then, “Salud!” Make a reservation at Boqueria-Flatiron District. Two is better than one. 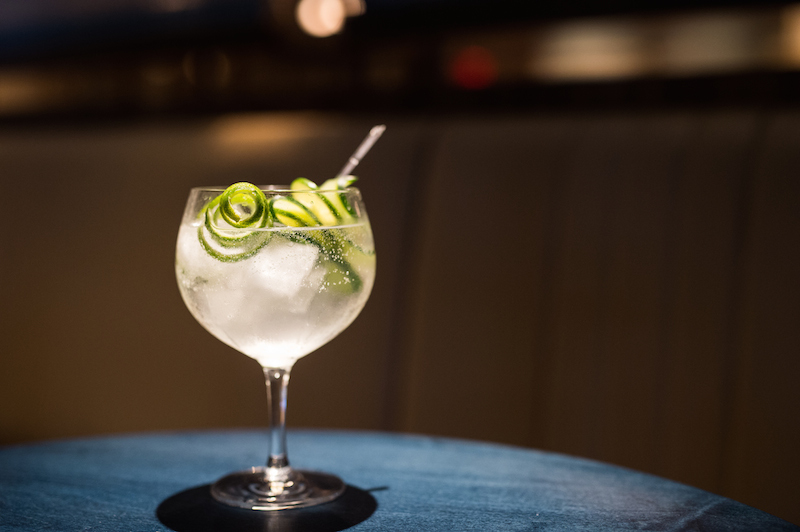 This G&T is made with a pair of gins: St. George Botanivore and Hendrick’s. 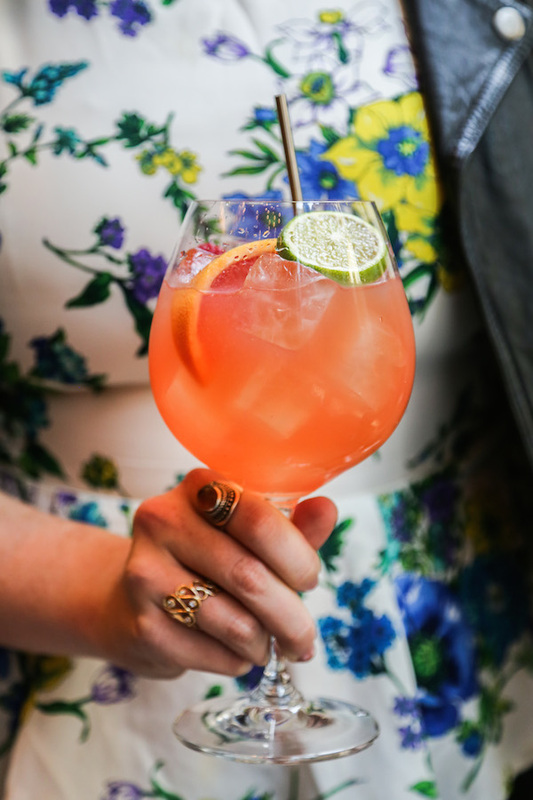 The charming couple is mixed with Contratto vermouth bianco, lime juice, and habanero bitters, along with tonic that’s made to order using a soda siphon to ensure maximum fizz. Make a reservation at Randolfi’s. To say José Andrés is a gin and tonic fan is to put it mildly. The cocktail is the national drink of his homeland, Spain, so it shows up in a number of iterations on the menu. The chef’s favored version is made with Hendrick’s gin, lemon verbena, juniper, lemon, and lime, while a barrel-aged varietal features pickled ginger, allspice, orange, and lemon — and there are other options as well. To make sure you pay them the time and attention they deserve, you’d better set aside an entire evening for a serious sip session. Make a reservation at Jaleo. The Park G&T has some distinctive flavors courtesy of gin infused with Upaya tea, raspberry leaves, beetroot, orange peels, and other components. The heady liquor is mixed with simple syrup, bitters, lime juice, and just a splash of tonic. It arrives in a generously proportioned Burgundy wine glass decked out with raspberries, a grapefruit wedge, and a lime wheel. Make a reservation at the Back Room. Bar director Adam Bernbach takes what he likes to call a “rustic” approach to G&Ts. He begins by steeping fresh elderflower with zested grapefruit peel, which is then strained and mixed with sugar, lemon juice, water, and cinchona bark. 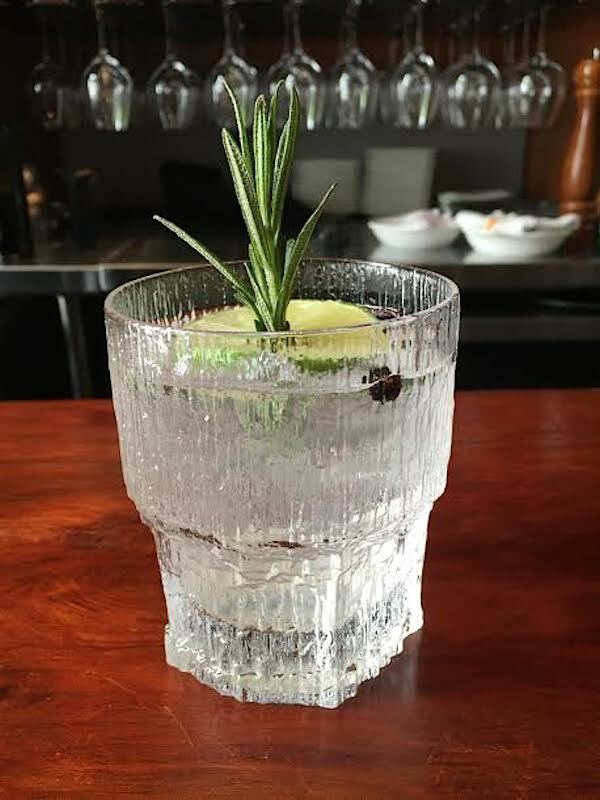 He blends the housemade tonic with Tanqueray 10 to create a cocktail sure to make you forget the heat wave raging outside. Make a reservation at Estadio. A trio of gin and tonics vies for your affection. One features CH London dry gin with Albariño white wine, lemon, rosemary, Fentimans tonic, and fennel bitters; another combines Ransom Old Tom gin, Jack Rudy elderflower tonic syrup, Fever Free soda, and hopped grapefruit bitters. 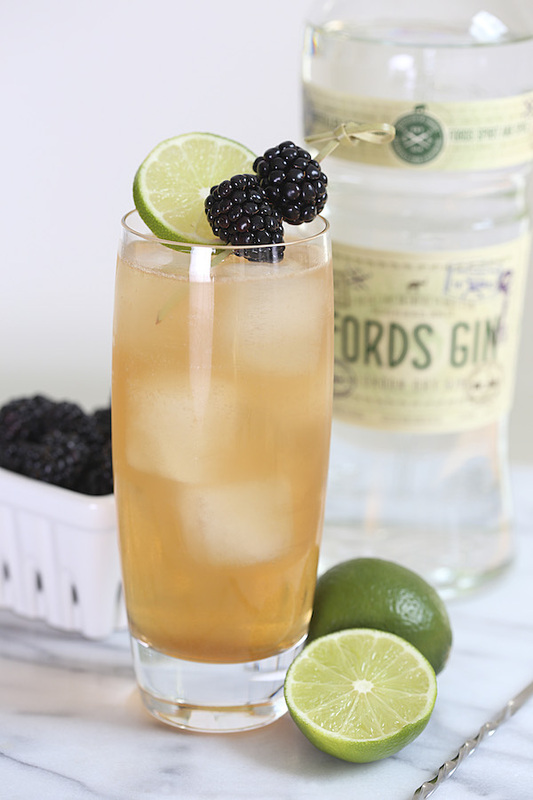 A third employs Ford’s gin, which is stirred with lemongrass, Fever Tree Indian tonic, and vanilla bitters. Make a reservation at Salero. They called it the Spanish gin and tonic for a reason (actually, two reasons). It’s made with Wint & Lila London dry gin and Indi lemon tonic, both produced in Spain. A few drops of housemade bitters complete the concoction, which is gussied up with a sprightly rosemary sprig, a few juniper berries, and lime. Make a reservation at the Barrel Room. What restaurants mix the top gin and tonics you’ve ever had? Let us know here or Facebook, G+, Instagram, Pinterest, or Twitter. Photo credits: Daniel Krieger (Amada); Nevin Martell (Indique).